Because loving God and loving our neighbor is the sum of the commandments, the Good Samaritan parable has application to the contemporary beating victim - the preborn. Find out if you are a Priest/Levite or a Samaritan when it comes to defending the preborn. 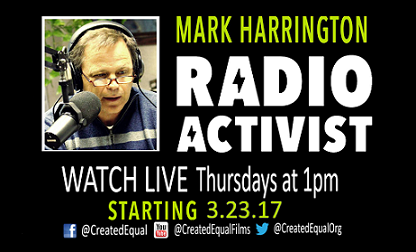 Listen to Mark Harrington lay out a basic biblical foundation for why we need to defend and speak up for the preborn. Many remember that the original Heartbeat Bill which was introduced in 2011, came literally a heartbeat away from becoming Ohio law. If it weren’t for the actions of one particular Senator, babies with beating hearts would be protected right now and we would have no need to be here. Since that time the Heartbeat Bill has been votoed twice by Ohio Governor John Kasich. With incoming Governor Mike DeWine committing to sign the bill if passed, we now are on the verge of making abortion history in Ohio. Some say that the Heartbeat Bill might be found unconstitutional based on their assessment of the current makeup of the Supreme Court. No one can predict the future with that degree of certainty. Babies with beating hearts don’t care much about the opinions of pessimistic lawyers. They have waited 40 years for justice. That is long enough! Some will ask, “Do you have any assurances that the Heartbeat Bill won’t meet the same fate it did the last time we tried to pass it?” To that I say, in politics, nothing is certain. But one thing is certain, we will persevere. The best picture of perseverance is the political life of one of our most beloved presidents, Abraham Lincoln. Abe Lincoln lost six elections over a span of thirty two years before he won the presidency. And thank God he persevered. I am not comparing the candidacy of Abe Lincoln to the effort for the Heartbeat Bill but Lincoln won the presidency because he kept trying. 2019 could be the year we end legal abortion in Ohio. Stay tuned as we fight to protect all children. Join our interns and staff LIVE from the White House as we pound the pavement on Capitol Hill, urging Senators to support Judge Kavanaugh for SCOTUS! If confirmed to the court, Kavanaugh could play a vital part in rolling back some of the pro-abortion precedent responsible for allowing the abortion holocaust to continue. If you are looking for balanced fair assessment of the nomination of Judge Kavanagh, tune in! Mark Harrington gives a LIVE report on the RESIGNATION of Cecile Richards, directly from a Planned Parenthood (PP) abortion center. Planned Parenthood stated that "Cecile plans to discuss 2018 and the next steps for Planned Parenthood's future at the upcoming board meeting." Richards served at the helm of Planned Parenthood as it suffered through its worst-ever PUBLIC RELATIONS NIGHTMARE. This nightmare--the baby parts trafficking scandal--has led to an investigation from the FBI – Federal Bureau of Investigation, ordered by The United States Department of Justice. Consequently, PP is now on the verge of losing HALF A BILLION DOLLARS in government funding. We believe that this investigation and the threat of losing funding is why Richards resigned. But although it is positive that she'll be resigning, we don't think she'll be "going quietly into that good night." Richards is no longer with PP, but she certainly isn't done pushing her child-killing agenda. Either way this resignation is BIG! Why? Because RICHARDS HAS BEEN THE FACE OF BIG ABORTION FOR OVER A DECADE. Her removal is huge, because PP is going to have trouble finding someone to replace her tenacity for HIGHER RATES OF ABORTION. Elections have consequences. Cecile Richards wouldn't be resigning if it weren't for the FBI reopening its investigation into PP... and that investigation wouldn't have happened if Hillary Clinton had been elected. Mark also previews NEW FOOTAGE OF VIOLENCE towards pro-life activists and debunks a response he expects to hear from the abortion industry--that "pro-lifers are getting more violent, too!"